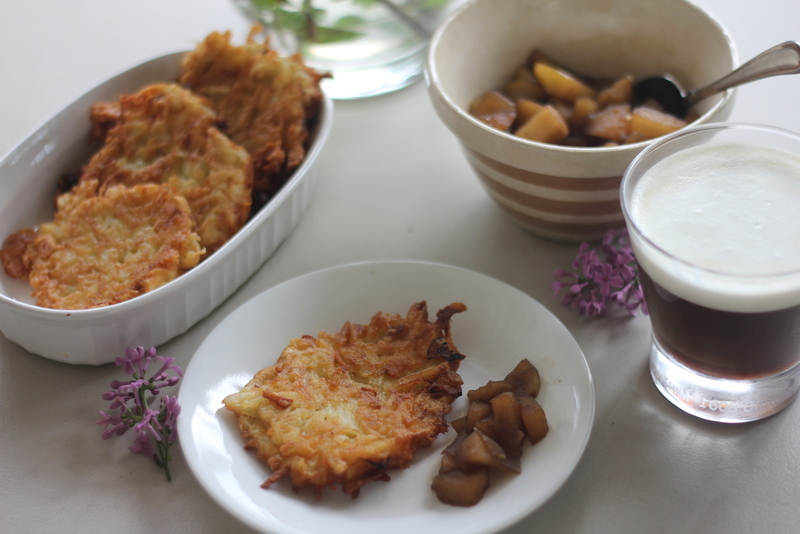 Potato Pancakes, Rum Applesauce, Irish Coffee – a Bradley family tradition. Well that & corned beef & cabbage for dinner, which I heard wasn’t actually something the Irish do…. Eh, it’s the Irish American family tradition I suppose. After my Le Cordon Bleu Graduation last May; my father, sister, grandmother, & I went over to the famous Buena Vista Cafe on Hyde Street in San Francisco. This place is credited for introducing Irish Coffee to America and boy I am so glad they did. 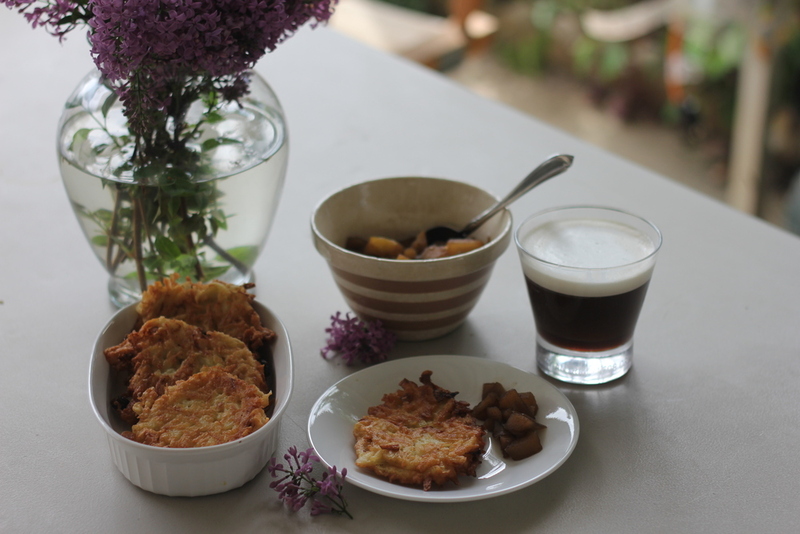 Irish Coffee has different variations, but there are a few staples. A good way to start your morning, wouldn’t you agree. Different recipes abound, but this is mine. Whisk eggs, flour, salt pepper, onions, garlic powder, irish whiskey together. Add grated & strained potatoes. May need more flour, feel free to add some! Add oil to a pan. When it’s hot, form little patty & drop it into oil. So, this is a new one….also I’d like to add that if any of my culinary school friends/disney world chefs see the cuts of those apples just know, it wasn’t me. In a pot add apples & water & let simmer for 10 minutes. Add rum, ginger, brown sugar & allspice & let simmer for 20 more minutes until the apples are nice & tender. Check out the YouTube video & don’t forget to subscribe & thumbs up! 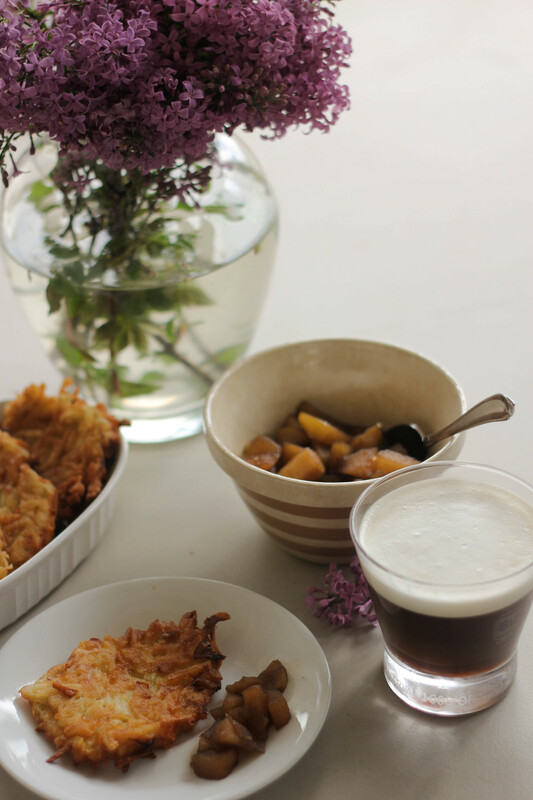 Check out my recipe for Irish Coffee, Potato Pancakes, & Rum Applesauce!